In this hands-on course, students will explore the exciting and emerging technology related to drones. Learn about the booming industry of drones, fly using simulation software and in our drone flying cage, and race in Virtual Reality (VR). The best part is, you get to take home a drone you assembled yourself! 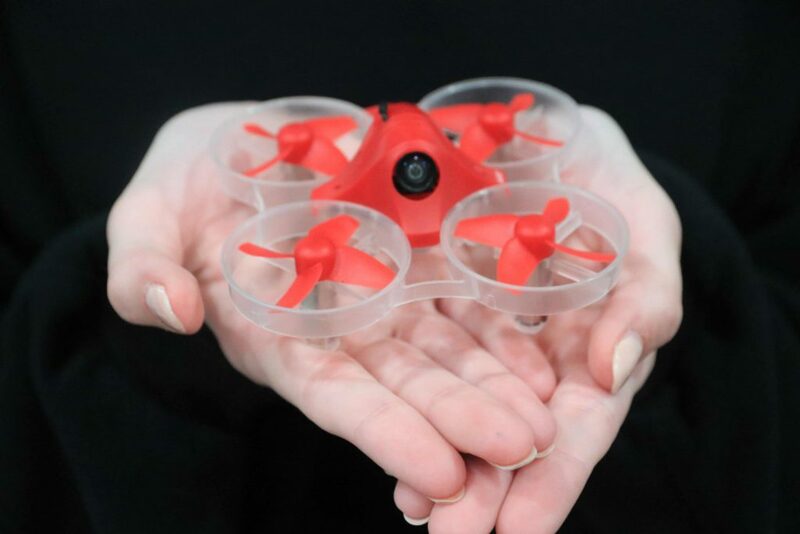 This easy to fly, racing, micro drone is suitable for both indoor and outdoor use. They will gain practical experience with not only drone systems and interfaces, but critical concepts in this field. Some of the key topics covered include: the advances in technology that has led to the boom in the drone industry, flying rules and regulations, and the technological advancements that have completely changed our relationship with this technology. They will also engage in creative activities to help them think about customization & enhancements.